The real problem of Manhattan’s Chinatown isn’t that its streets are crowded. It’s that its businesses aren’t crowded enough. Despite the seemingly endless array of purse, jewelry and clothing salesmen in Manhattan’s Chinatown, longtime businesses are struggling to make it with increasing rents and lack of loyal clientele. 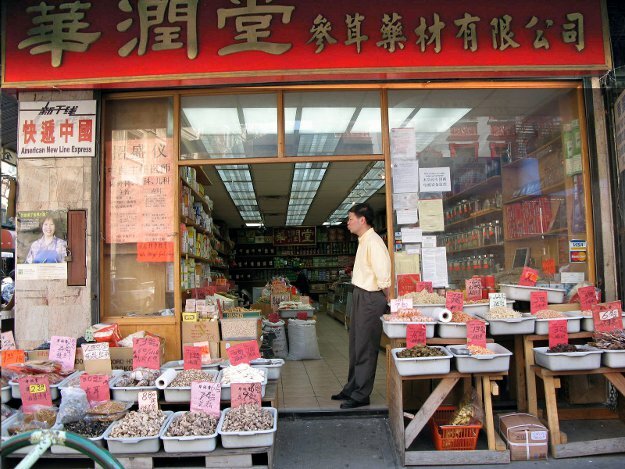 With other Chinatowns in Brooklyn and Queens, Chinatown’s survival in Manhattan is in question. Many Fuzhou immigrants are living in places like Sunset Park and Bensonhurst in Brooklyn and Jackson Heights and Flushing in Queens, where they can have a taste of home and pay a lot less rent. 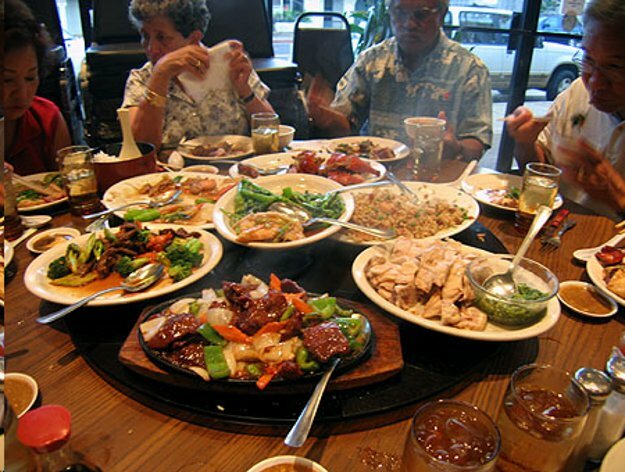 Immigrants moving in means authentic restaurants are plentiful in these communities. Manhattan’s Chinatown is often associated with knock-off designer goods on packed streets. It’s the place to bargain for a new pair of sunglasses or shop for cheap scarves and hats on Canal Street. It’s also a place for chefs to find ingredients and kitchenware at delightfully dirt-cheap prices. Though restaurants line the small streets of Chinatown, many are suffering from lack of regular customers. Though often labeled as a “touristy” area, the tourists aren’t enough to sustain Chinatown. That series included 9/11, Hurricane Irene in 2011, and Hurricane Sandy in 2012. The Chinatown Partnership “grew out of the ashes of September 11,” Chen said. It officially launched in 2006, and the organization’s office was in Chelsea for its first two years. If a Chinatown organization can’t afford Chinatown’s rents, “what option does a mom and pop who don’t know English have?” Chen said. Chen predicts the Chinese population in Manhattan’s Chinatown has dropped by 18 percent, while the overall Chinese influx to the city has risen by 33 percent. This points toward the outer boroughs. Thirteen years ago, Manhattan’s Chinatown reigned, he said. The Official NYC Chinatown Kiosk at Baxter and Canal Street will soon be demolished due to budget cuts. A similar situation took over Little Italy about 20 years ago, Chen said. “Little Italy once was 50 blocks,” he said. The folks in Little Italy have been particularly helpful in trying to keep Chinatown alive, Chen added. Chinatown has an amazing array of food options. Aside from restaurants, Chinatown’s grocery stores are a fun scene, with cheap ingredients and fresh fish and meat being sold on the bustling streets. Yaya Tea Garden, 51 Chrystie St., has been in Chinatown since 2008. Owner Mindy Chung said the business has gained a lot of regulars, including a lot of fans from Bensonhurst. The store will open its second location in Bensonhurst within a couple months, she said. “Our regular customers are super excited that we’re gonna be here,” Chung said. The future of its Chinatown location, however, is uncertain, as the landlord plans to tear down the building or increase the rent. Three businesses on nearby Hester Street have recently closed, she said. Their customers will definitely welcome them in Bensonhurst, she said, and they will be right next to an Italian community. “It’s a very peaceful environment;that’s why I wanted to go there,” she said. When Christina Choung was growing up in Allentown, Pa., her family visited Chinatown for family birthdays and holidays. For those unfamiliar, Chinatown can be intimidating and confusing. The Chinatown Partnership is trying to make that easier by adding guideposts to help visitors see the street signs at night. Chinatown Chowdown is an app that helps point out some good spots. Navigating Chinatown requires “a certain sense of adventure,” Choung said. “Signs aren’t always translated. You would have to do your research more,” she said. Beth Kaiserman is Highbrow Magazine’s chief food critic.